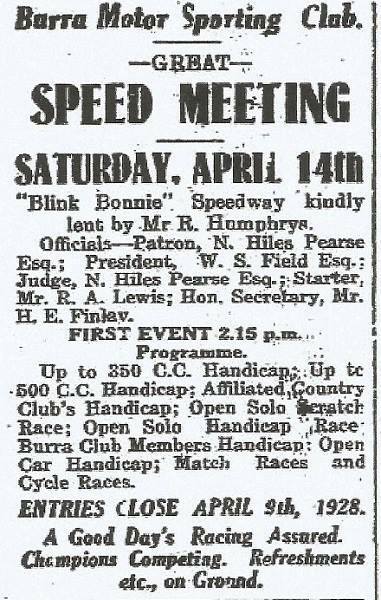 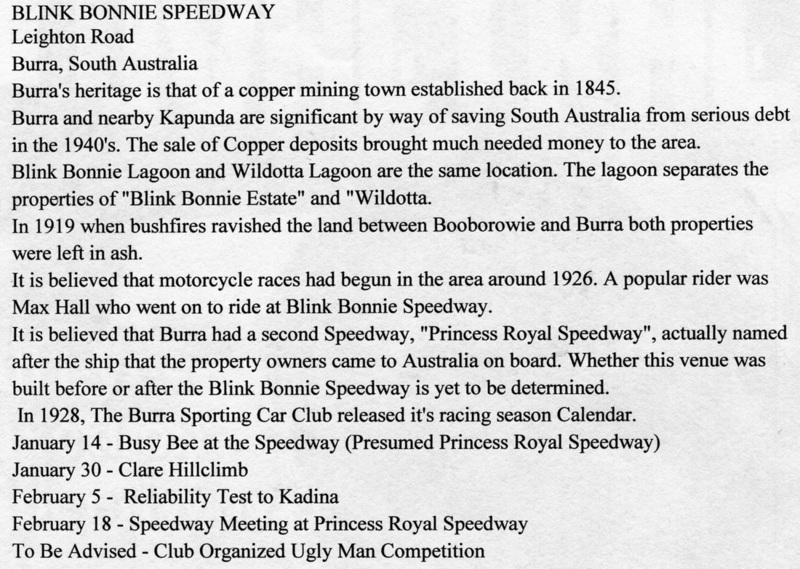 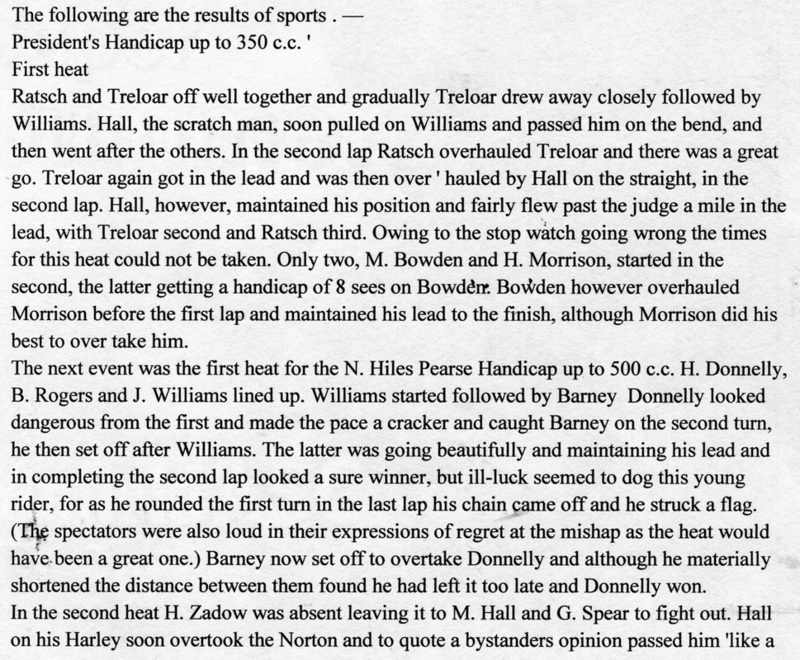 Blink Bonnie Speedway was built in 1928 by the Burra Sporting Car Club and opened in March of that year, it is believed that only about 6 race meetings were ever held at the track, racing only happened during summer when the Blink Bonnie lagoon dried up leaving the saucer ideal for a speedway. 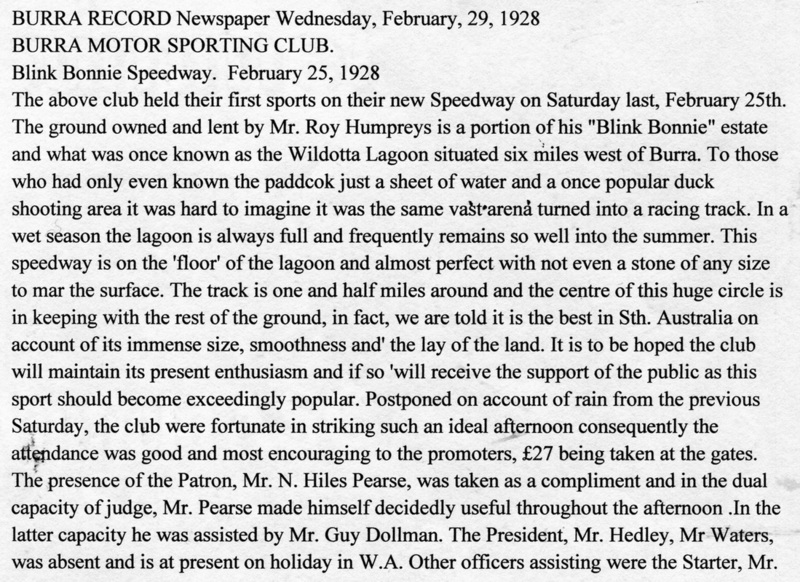 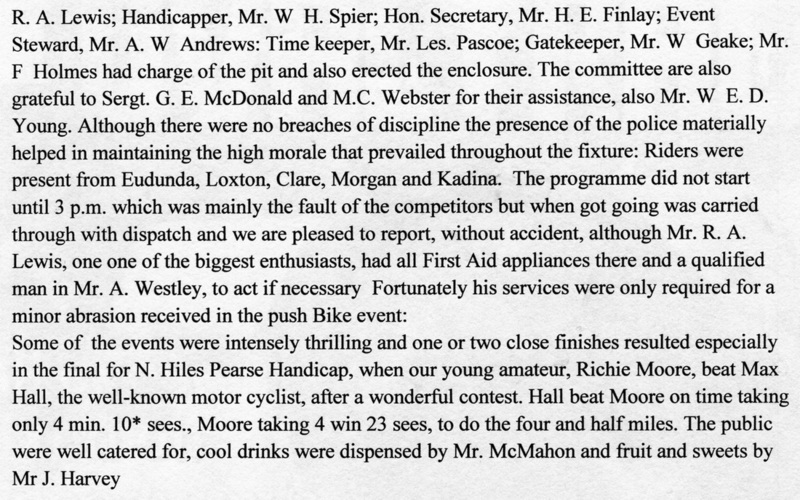 The speedway that was situated on private property along Leighton Road at Blink Bonnie Lagoon had a reputation for high speeds and fierce racing. 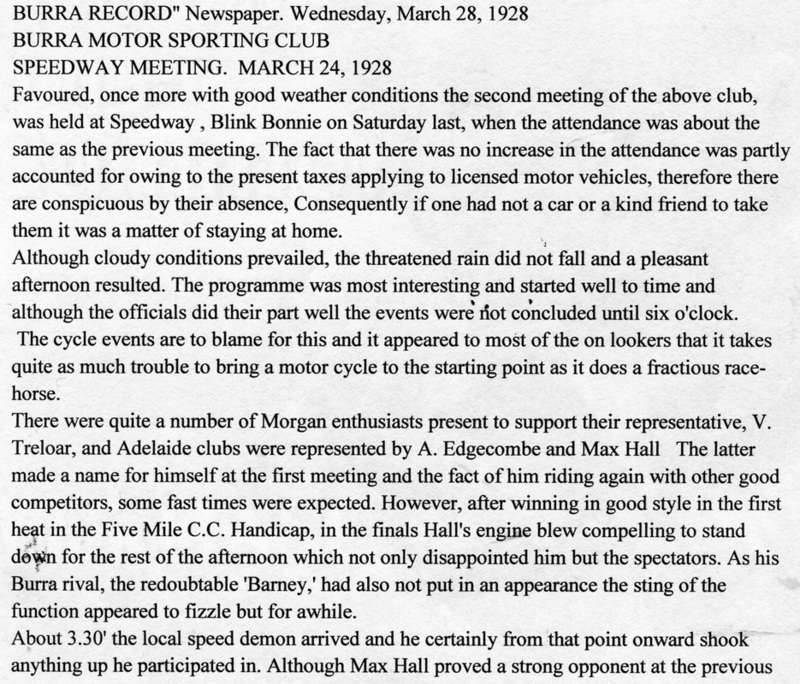 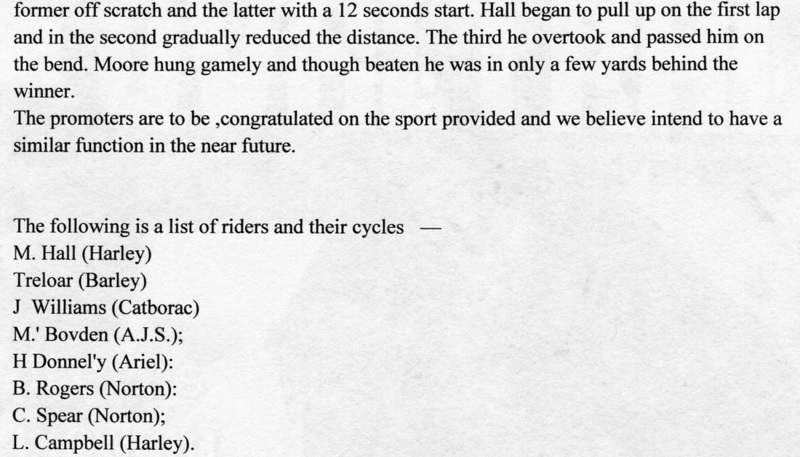 Some of the competitors of the day included Barney Rodgers, M Hall, J Williams, V Treloar and A Edgecombe.